ASM Research is one of the sponsors of the Armed Forces Communications & Electronics Association (AFCEA) Critical Issues in Command, Control, Communications, Computing, Intelligence (C4I) & Cyber Symposium at George Mason University in Fairfax, Virginia, May 21 and 22, 2019. 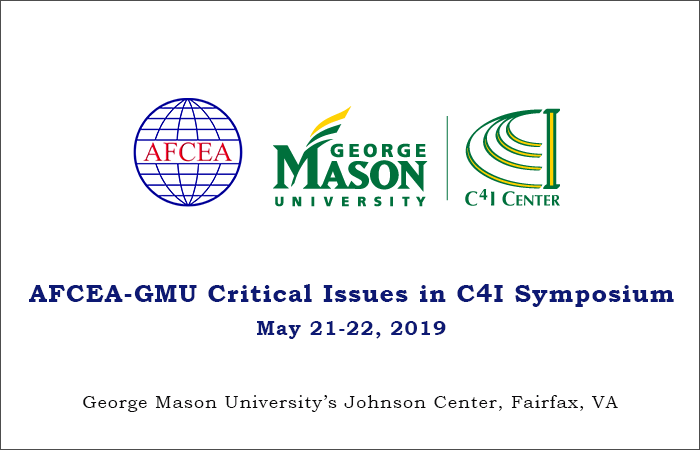 For more than 10 years, the AFCEA/GMU Critical Issues in C4I Symposium has connected academia, industry, and government to address important issues in technology and systems research and development. Decision makers at all levels attend to advance their understanding of the key C4I challenges now and in the future. For more information on the 2019 Critical Issues in C4I and Cyber Symposium, click here.